Maggie's Big Home: Letter or Number? Young children love to mimic adults, older brothers and sisters, or even scenes they see on television shows as they are learning to write. Many point to letters in fun ways. Using fun fingernails from Halloween encourages children to play with letters. They love to “play office” and stamp documents. 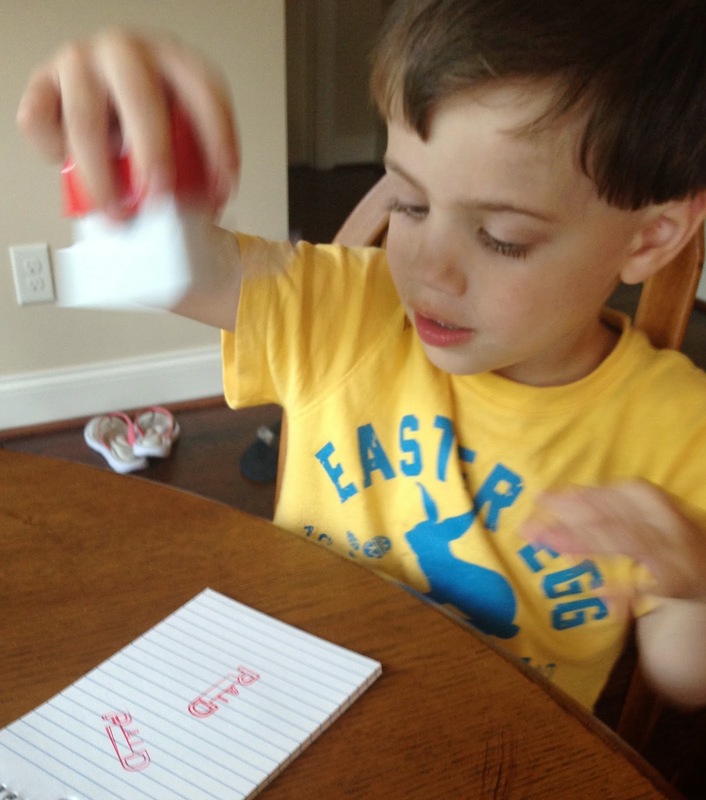 Children can use a variety of fun stamps to find letters. This is all part of the learning process. In a past blog post we showed you the process of moving from scribbling to symbol salad to writing that looks like real words. Click here for more information about the Continuum of Writing. These are all important and necessary steps. One of the ways you can help children become writers is to talk about your own writing and signs you see in grocery stores, mailers you receive at home, or even street signs as you drive. 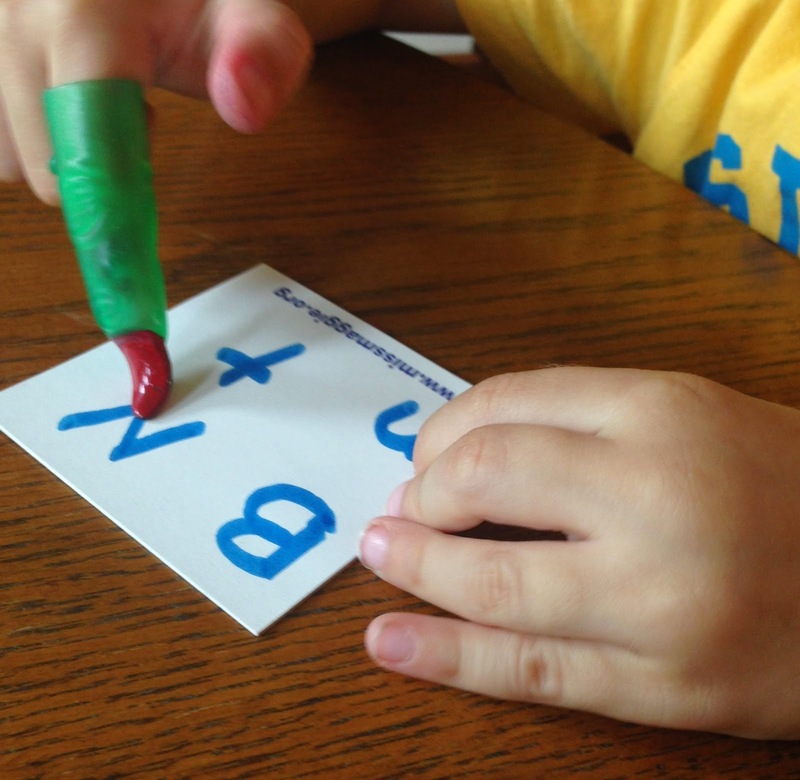 Help children to point out letters they recognize as they move from thinking random lines on a page are letters or numbers to seeing a B or E.
Most children confuse letters and numbers as they are learning. Even children who count items up to ten do not have a clear identification that B is a letter and 5 is a number. You can help prepare preschoolers for school by talking about the difference between letters and numbers. When children count, you can write down the number. If a child counts four turtles, write the number 4. Keep repeating over and over that this is a number. It shows how many. Children can even keep this slip of paper all day and talk about it using the word, number. You can also reinforce the idea of letters. When children see letters on a stamp, in a book, or even on a balloon, say, these are letters. They make words. 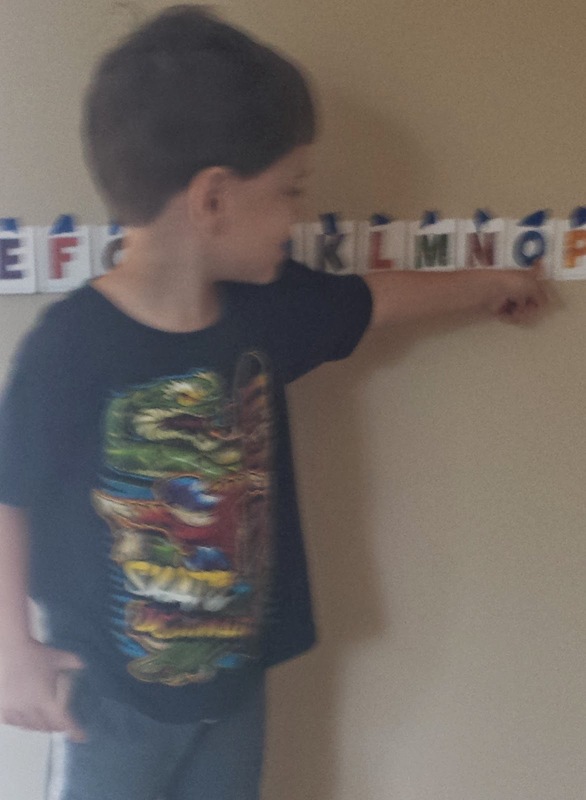 Help children find letters, like the letter that begins their name by pointing to the letter whenever you see it. Children love to ask YOU questions. Have a child ask, "Is this a letter or a number? Next, children can ask, "What letter is this?" This constant talk about the difference between a letter and a number helps children understand basic writing differences. One of our favorite Apps for helping children to trace letters using the correct direction is Letter Quiz by Tantrum Apps. We know many parents who save this App for when a child is waiting in a doctor’s office, bored with a shopping trip, or needs calming. You can even change from upper case to lower case letters.